A show-ready paint job is only as good as the time you put into preparing the surface. 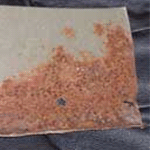 Repair dents, scratches and other imperfections with Eastwood’s Base Prep process! The products and information you need to paint your job right are all here! Street Visions sprays Eastwood Epoxy Primer under a Camaro. Everything you need to know about our high-quality Eastwood Epoxy Primer with mix ratios, and smaller 2K AeroSpray aerosol version for smaller applications. Street Visions uses product on underside of 1st Generation Camaro! Choose the RIGHT Primer with Kevin Tetz. Kevin Tetz gives a lesson on what, when and where to use Epoxy Primer, Self-Etching Primer, 2K Urethane Primer-Surfacer, and Polyester Primer-Surfacer. 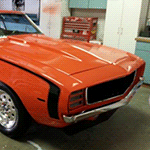 KEVIN'S KORNER: It's all about Eastwood Body Fillers! Kevin Tetz talks about new Eastwood Contour Body Filler products used on "Project Jaded." Fixing pits and applying glazing putty. Eastwood Tech Expert, Mike Lyons takes us through the process of fixing metal pits using Contour Glazing Putty, block sanding techniques, and Contour Body Filler, and a host of valuable tips and tricks. Prep, Prime and Paint your ride like a Pro! Do I have to apply a primer before using this paint? Can I apply the Epoxy Primer over bare metal? Do I have to sand Epoxy Primer before top coating? 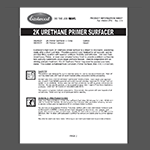 Can I apply the 2K Urethane Primer Surfacer over bare metal? (Q) Do I have to apply a primer before using this paint? (Q) Can I apply the Epoxy Primer over bare metal? (Q) Do I have to sand Epoxy Primer before top coating?? (Q) Can I apply the 2K Urethane Primer Surfacer over bare metal? Can I paint over an existing finish? Can I use another brand of primer to save a few bucks?